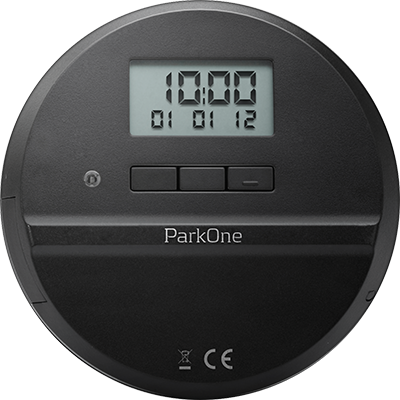 ParkOne is a classic electronic parking disc. Since its launch in 2011, it has enjoyed huge success, selling from retail stores, auto garages and leading car dealers. ParkOne works in any type of vehicle, including hybrid and electrically-powered cars. It takes only five minutes to fit. ParkOne is of course approved by the Danish traffic authority. It has been tested under extreme conditions from Lapland to the Sahara. All the components – including the battery – are tested at SGS Fimko, Finland’s leading supplier of testing and certification services. In the wake of disappointments with competitor products, which stopped working, fell off and were generally unsightly, Needit (the company behind the success of ParkOne) decided to do things better. Needit entered into partnership with one of Denmark’s leading technical development enterprises to design a parking disc which would set very high standards compared to pre-existing products. The elegant ParkOne is the brainchild of award-winning Danish designer, John Sebastian. His vision for an electronic parking disc unites modern car design and minimalistic Scandinavian identity. John Sebastian’s comprehensive CV includes design work for iconic names, such as Georg Jensen, BioMega, Fritz Hansen, Stelton, Holmegaard and Royal Copenhagen, as well as international companies, including Samsung Electronics, DuPont™ Corian® and Sony. ParkOne is a classic. It is by far the best-selling electronic parking disc on the market – and has held its position since 2011. 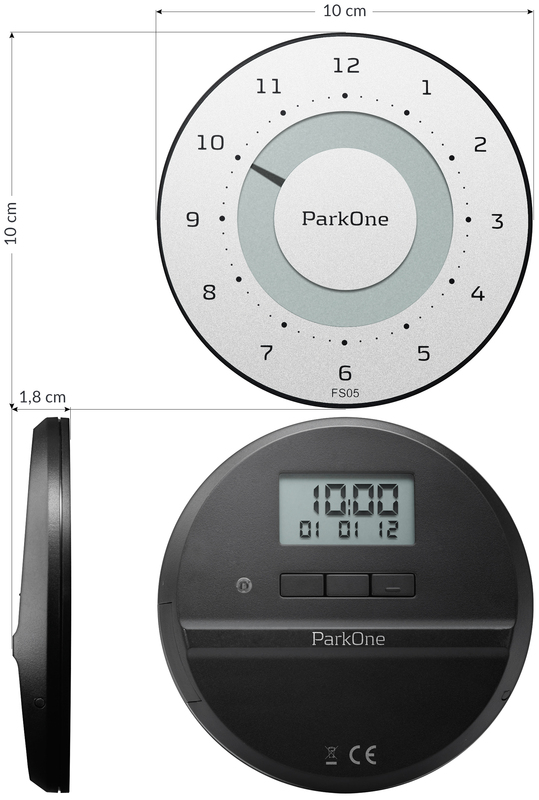 ParkOne is available in black, white and metal. There’s certain to be one to match your car. 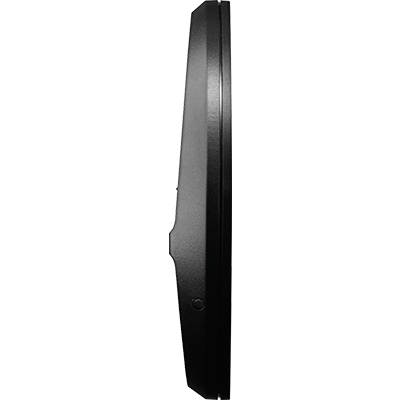 Thoroughly tried and tested at extreme temperatures (cold and heat) this durable and reliable parking disc switches automatically between summer and winter time. 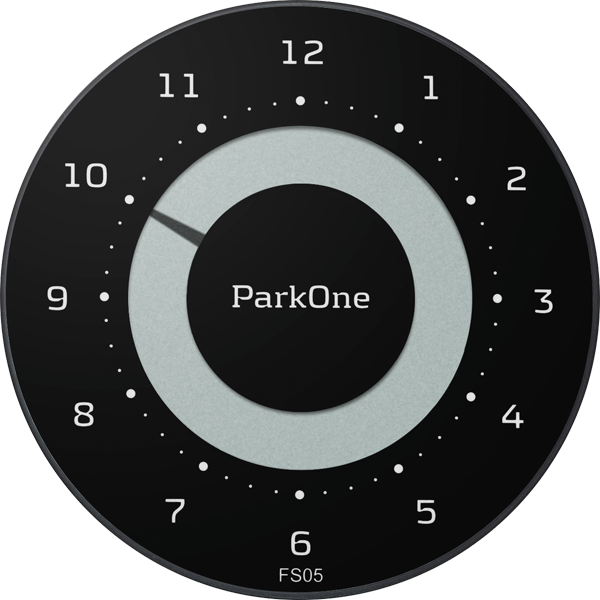 ParkOne is available in three colour variants: black, white and metal. A dark ParkOne looks good with a dark-coloured vehicle and a light ParkOne looks good with a light-coloured vehicle. Moreover, a light-coloured parking disc often looks good on a dark-coloured car, and vice versa. Don’t forget to coordinate your disc with the colour and shade of the vehicle’s interior too. Extra self-adhesive pads are available in three matching colours. We offer an extra set of 4 x 3M self-adhesive pads and a cleaning cloth (packed in a small bag). Cleaning cloth and self-adhesive pads are available from your ParkOne dealer. 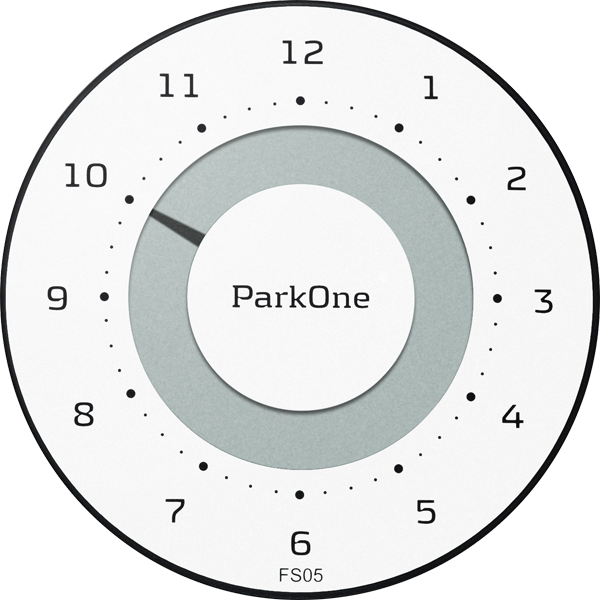 Follow the assembly/disassembly instructions in the user manual supplied with your ParkOne. Download the user manual here. ParkOne is approved by the Danish transport authority in accordance with Executive Order no. 237 (2003) on parking discs, and approval code FS05 is imprinted on the front. To gain Danish transport authority approval, a parking disc must be 100% reliable and the parking time on the disc impossible to manipulate. All components – including the battery – are tested at SGS Fimko, Finland’s leading supplier of testing and certification services.